On our way to the restaurant we were just on time to enjoy the milky sunset on the river Arno. If you look closely to the left you can see the Ponte Vecchio! 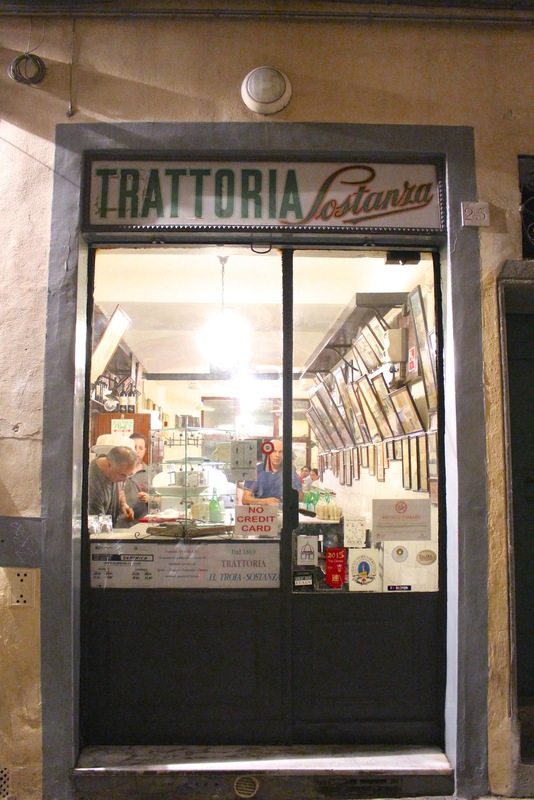 Trattoria Sostanza is a tiny little place which can be easily missed when walking past it. 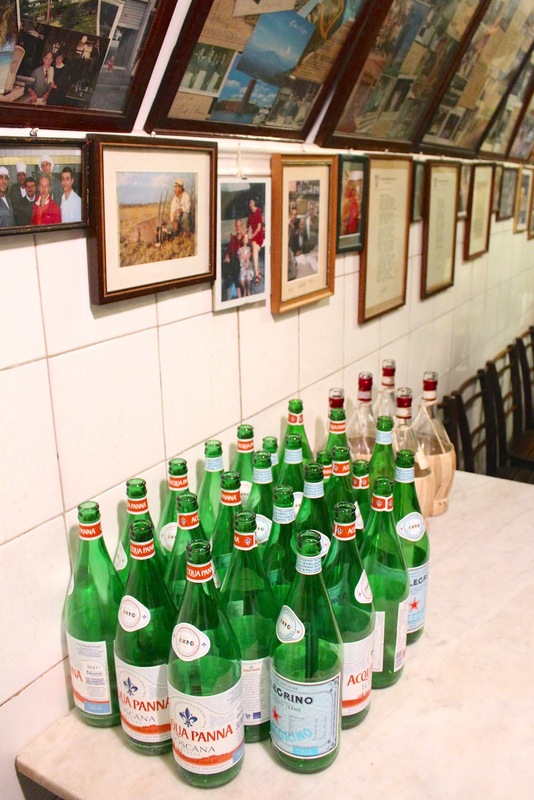 Even though Sostanza is an authentic Italian restaurant, it's not exactly Florence's kept secret. I barely noticed any Italians in the restaurant, apart from the cooks & staff. 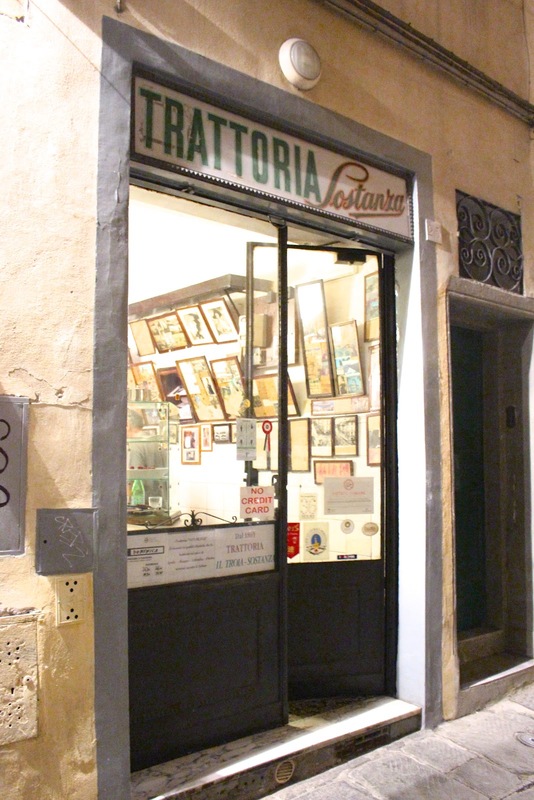 However I can already tell you that despite it's popularity, not only among locals but also well-informed travellers, Sostanza is not a tourist trap. We came here with an Italian friend and she told us that this place hasn't changed at all over the years. The staff still speaks only Italian, the menus are handwritten and plasticised, the interior is modest and the food is honest. Because the restaurant is so small, we were seated at a shared table. Making a reservation is definitely a must! Our table was booked for 9 o'clock which is best because you get to eat, drink and talk until the restaurant closes. Having read a few things here and there about "the best chicken of your life", I knew what I had to order. We ordered a range of different dishes, which isn't too hard with a compact menu such as this one. Some simple starters, primi, sides and mains are all you need. While sitting down, I could already spot the chefs at work in the open kitchen at the back. In order to reach the bathroom, there's no other way but to walk through the kitchen. The tiny space is extremely hot because of the oven, hot coals and bubbling pans (it was 40 degrees in Florence, so that didn't help either). The chefs are super friendly and delighted when you show interest in what they're cooking. Thick pieces of steak sizzling away on the hot coals, how good does this look? 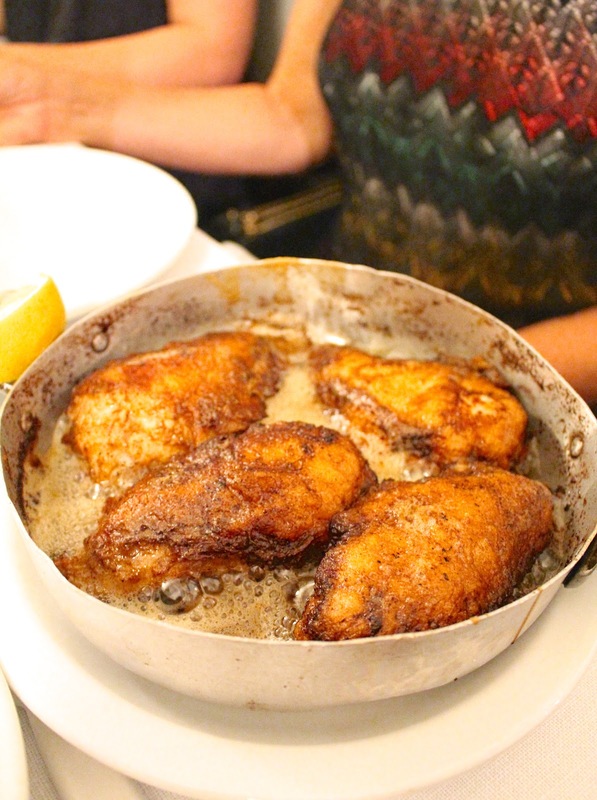 My mom and I both ordered the chicken with butter and it arrived in a big sizzling pan. It smelled so good and we couldn't wait to tuck in. Look at the little deformed pan, it must have been used for this dish thousands of times! A big squeeze of lemon juice added a fresh touch to the perfectly crispy buttery & salty chicken. Super duper tender and everything you wish for in a pan of buttery chicken ;) it was just lacking a little salt (spices in general) for my taste but that's personal, and anyway I added some more myself. Simple and good flavours, all I wish for in food. A crispy salad with good olive oil was perfect with the chicken. I'd choose this over Michelin-starred tiny plates with molecular food any day! Less is more. Plump tomatoes full of taste, drizzled with the most incredible olive oil which we mopped up with bread. The dish below was is Tortino Di Carciofi, something which is a unique dish at Sostanza, just like the butter chicken. It's fried heart of artichoke, fried in a hot pan with beaten eggs, beautifully wrapped around the artichoke. I'm not sure how it's made, it looks so cool and it tastes so much better than it looks, trust me. 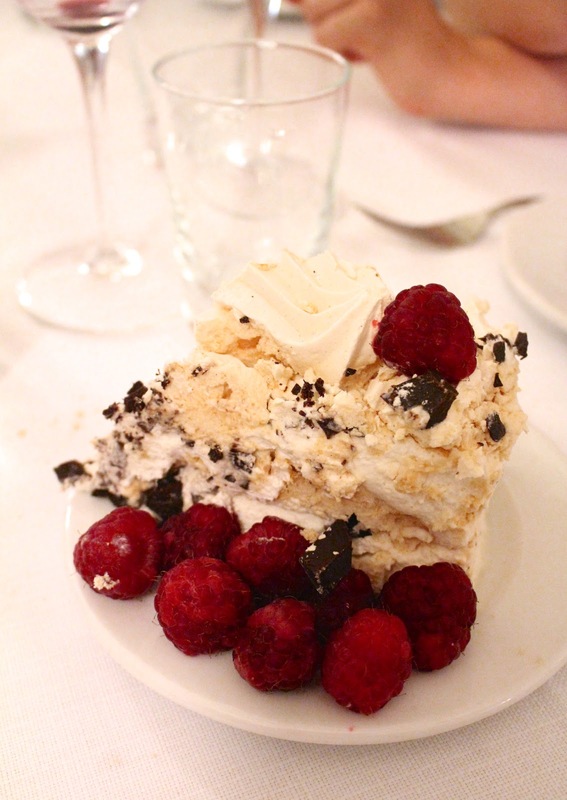 Layers of thin and crunchy merengue, thick whipped cream, roughly chopped very dark chocolate and plump raspberries. Any dessert with these ingredients must be incredible. Though the meal we had was really delicious, the dessert just topped it all. Even my mom, who usually doesn't like sweets or desserts, loved it. It was somehow light and not too sweet because of the bitter dark chocolate chunks and the slightly sour raspberries. Perfection. We left the restaurant super content, what a treat this was! 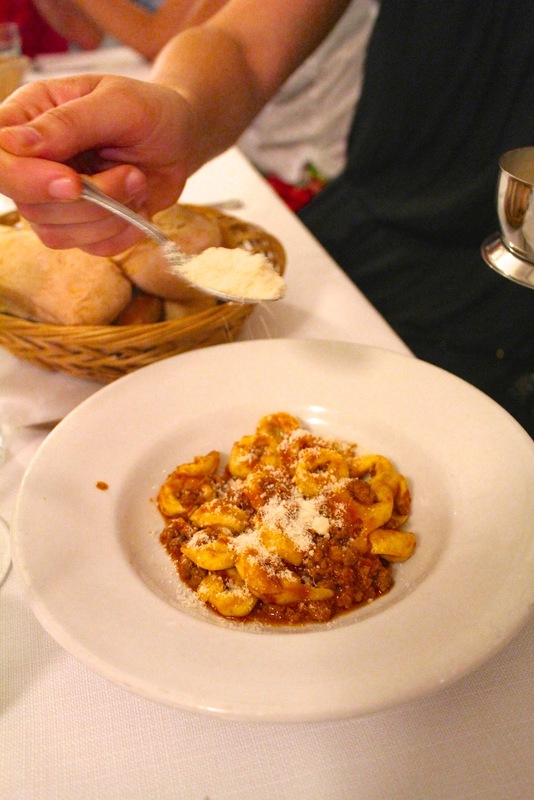 When you visit Florence, you really must make a reservation at Trattoria Sostanza, you won't be disappointed. Ignore the fact that you're not the only foreigners who 'discovered' this place and enjoy the authentic Italian food, it's too good to miss. Call this number to make a reservation for lunch or dinner - they speak a few words of English: +39 055 212691 . 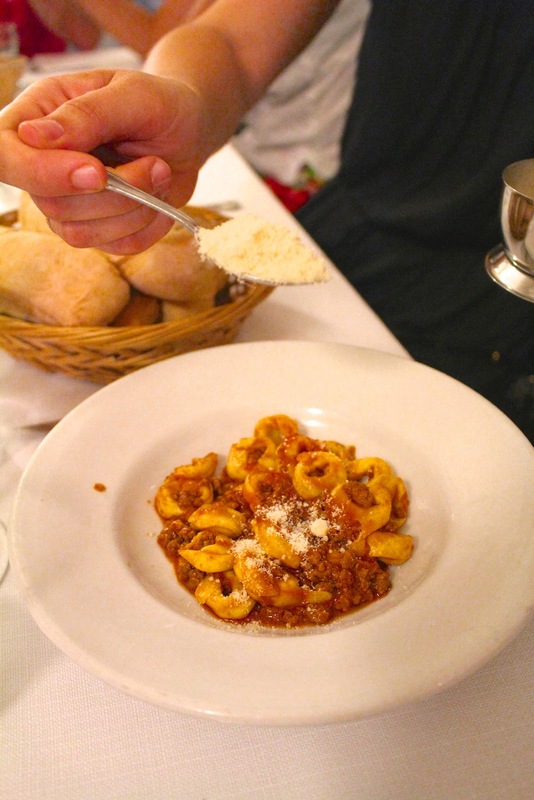 You'll find the Trattoria at Via Del Porcellana 25 . And please let me know how it was!